You can see the ocean from one of our three balconies -- it's just a block away. Comfortable, clean, pet-friendly, modern townhouse in a great location! One short block to the beach! Beautiful sunrise ocean view from large living room area with a private deck ideal for outdoor breakfasts and socializing. Cable TV, wi-fi service, entertainment center. Master bedroom w/ private bath, cable TV and great ocean view from a private deck; one block from the beach, 3 BR; 2.5 baths. Ceiling fans throughout along with Air Conditioning that will keep you comfortable. I grew up on the Jersey Shore and although I was away from the ocean for a number of years, I never forgot the wonders of the beach and its atmosphere. 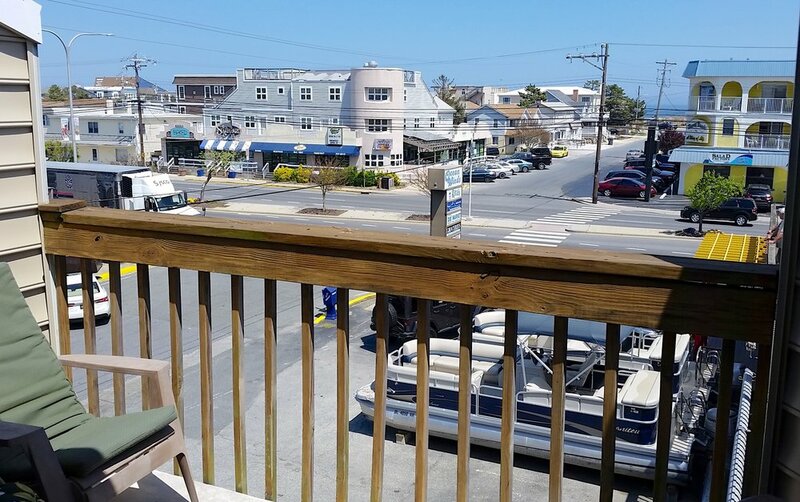 Dewey Beach is a wonderful place and when we saw it, we fell in love with the area. It is unique in that it is not over-commercialized and the town works hard to maintain its unique spirit of a true seashore resort. I purchased this Townhome in 2007. Our goal is to provide our guests with our best efforts for a memorable and enjoyable vacation with us.